1 Bunny Hole which has to be defended, with 2 cute little bunnies inside. 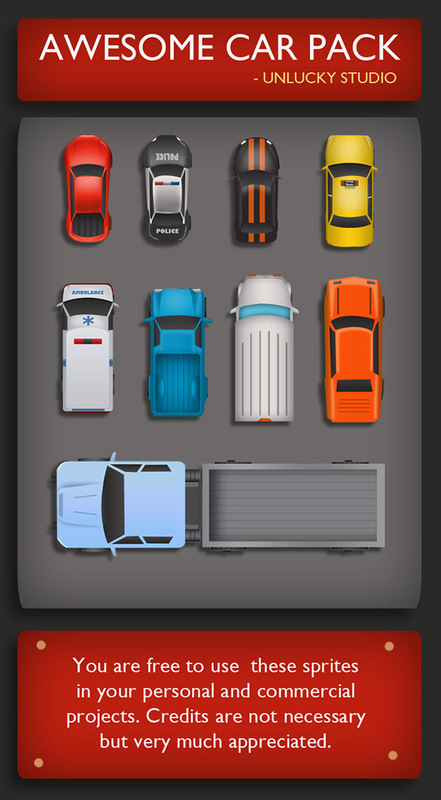 The resources are available for free in raster format, the vector pack costs $9. You can download from here. This package includes 9 vehicles including 2 animated cars( a police car and ambulance on mission ), vans and a big truck. The files can be used in commercial or non commercial projects. The author mentioned Credits are not required but they are appreciated. 3 cars, 1 taxi, 1 animated police car, 1 animated ambulance, 1 van, 1 minitruck and 1 bit truck. 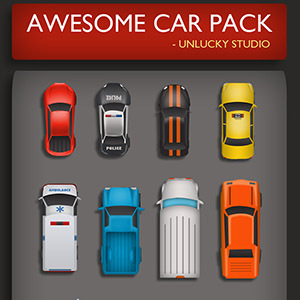 You can download the pack from Unlucky Studio. 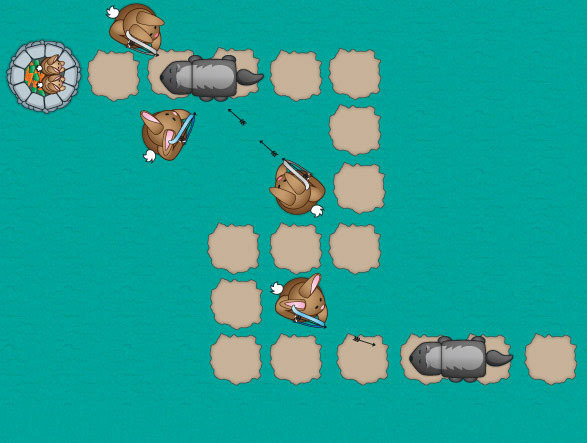 You can find some games created with this pack on car games.